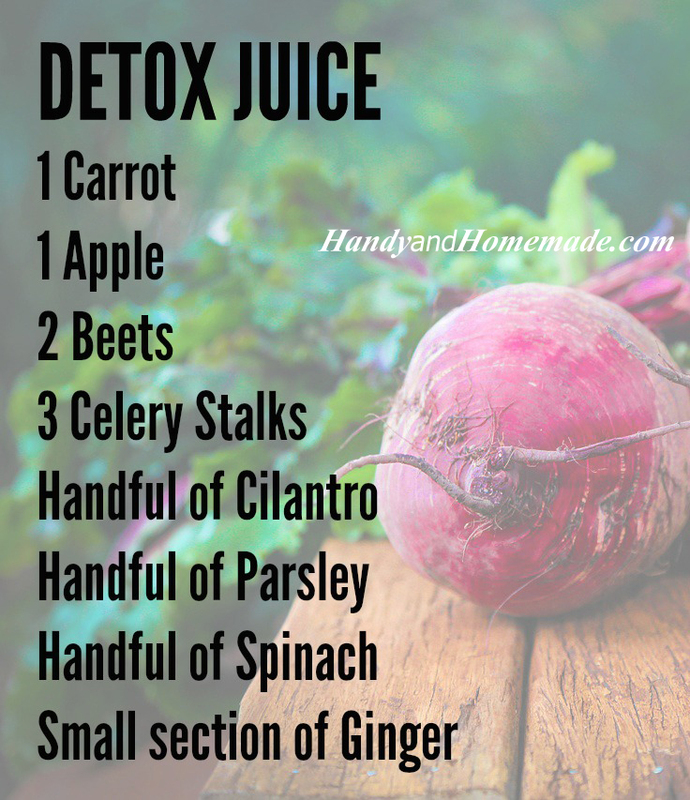 This is a great juicing recipe if you are wanting to detox your body and help it eliminate the toxins our bodies consume every day. You will need: a carrot, an apple, beets, celery stalks, cilantro, parsley, spinach and ginger. Follow the recipe in our photo above or customize it to taste by using less or more of the ingredients suggested.